Astori, capped 14 times, joined the Milan youth academy and played for Cagliari and Roma before moving on loan to Fiorentina in 2015 and signing a long-term contract in 2016. 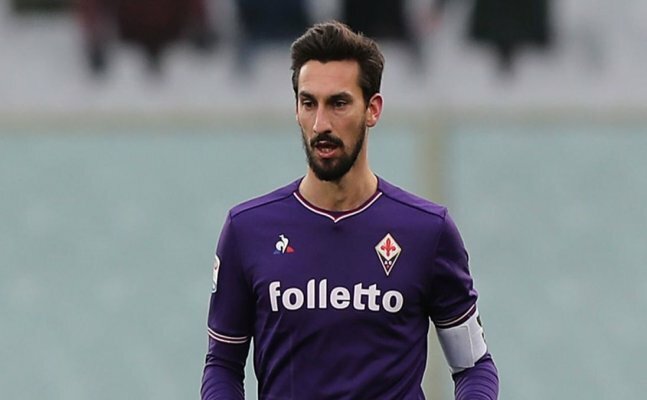 Fiorentina's captain Davide Astori died of natural causes, according to the district attorney of the northern Italian city of Udine, where the Serie A club had been holding their camp ahead of a league match. Astori was found dead on Sunday when the players gathered in the dining room for breakfast before the Serie A game against Udinese, which was later suspended, reports Efe. "The idea we have of the situation is that the player died of cardiac arrest by natural causes," Antonio De Nicolo told local media. Since joining Fiorentina, he played 106 matches and became the leading figure in the Italian club. As a sign of respect, all Serie A matches scheduled for Sunday were suspended, Serie A and the Italian soccer federation announced. "All the fixtures scheduled for today are postponed as a sign of mourning. Farwell Astori," Serie A tweeted. FIFA and UEFA also offered their condolences for Astori's death. "Our sincerest condolences to the family and friends of @acffiorentina captain and Italian international Davide Astori, who passed away suddenly last night," UEFA tweeted. "Our thoughts are with the family and friends of Davide Astori who has passed away at the age of 31," FIFA tweeted.